Not the loveliest view of the front door – they did pick up the paper and open the area, and now you can sweep right through the brass doors into the lobby. If you’re wondering if these are the original doors, they aren’t. 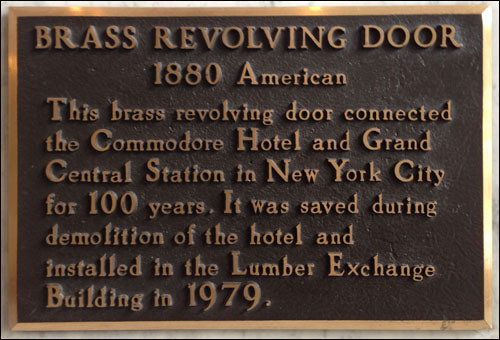 They’re better: they once connected the Hotel Commodore to Grand Central Station. 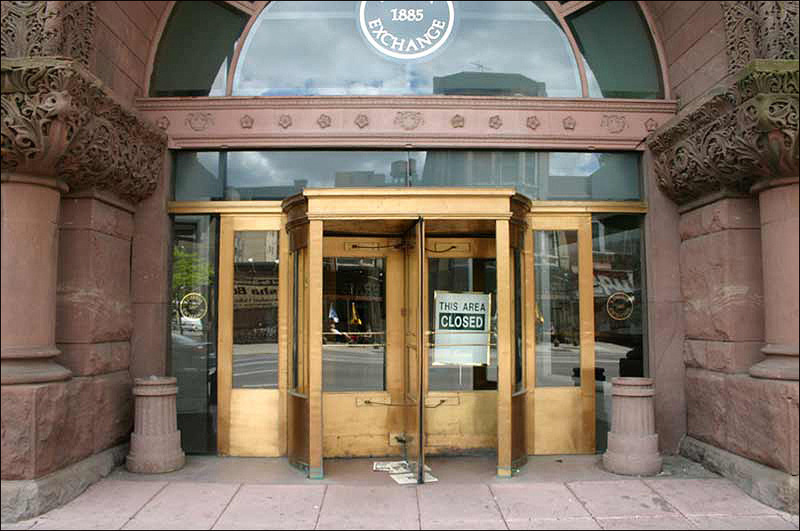 When you entered these doors, you used to see this.